Who Are The Frontrunners in Limited Series/TV Movie Lead Acting Categories? In the past couple of years the lead acting races in the limited series/TV movie categories have celebrated some of the most iconic performances in recent years from Courtney B. Vance and Sarah Paulson to Nicole Kidman and Riz Ahmed. Unlike the past couple years there is no definitive limited series gearing up to dominate the acting categories. This year’s lead contenders consist of former favorites, past winners, and a couple of frontrunners hoping to win their first Emmys. Now that voting has been opened up to the entire actors branch one of the biggest indicators in the limited series acting categories is which ensembles were well-received across the board. This year The Assassination of Gianni Versace is by far the most popular show among the actors with six total acting nominations making Darren Criss the early frontrunner. His performance as Andrew Cunnanan was by far the most terrifying performance of 2018 and simultaneously one of the most eye-opening. Working against Criss is just how unlikable Andrew Cunanan is as a character even if the anthology series showed his circumstances in a different light. Some voters will be put off by the endless amount of horrific acts he commits and instead vote for someone else. He’s also fairly young compared to the average winner in this category but it didn’t stop them from rewarding Riz Ahmed last year. 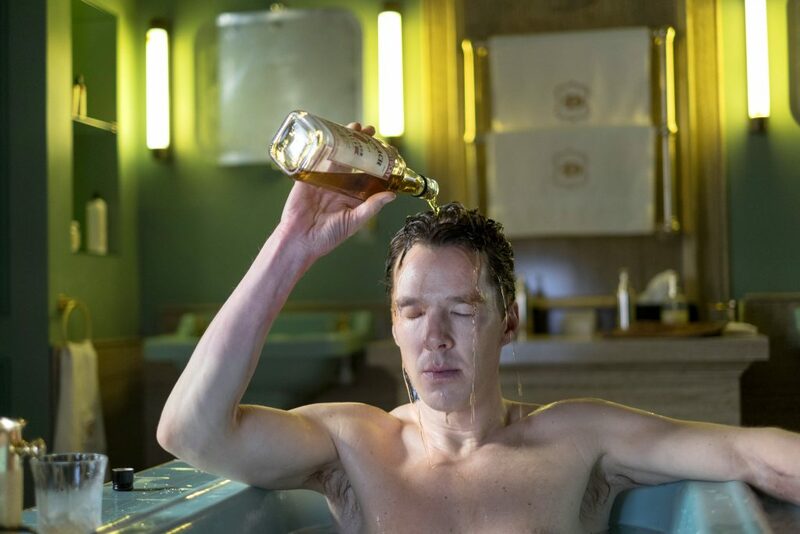 Patrick Melrose has been a polarizing limited series for audiences with some extremely turned off by the style of the show while others have celebrated it as one of the year’s best. The one element everyone seems to agree on is just how powerful Benedict Cumberbatch’s lead performance is. Critics and audiences are celebrating it as the best work of his career. The material is also awards-friendly directly dealing including substance abuse. Cumberbatch would easily win under the old voting system but now that the winner is determined by a popular vote he might have a harder time if enough voters haven’t seen the series. Both John Legend (Jesus Christ Superstar Live) and Jesse Plemons (USS Callister) are well-liked performers from shows that are likely to win the top program awards whether it be for variety special or TV movie. Unfortunately neither of them have the momentum to pull off an upset. A group of actors probably won’t vote for a musician in the lead actor race. This is Plemons’ second nomination but the cast of Black Mirror might have a hard time actually winning against actors on multi-episode arcs. Then there is Jeff Daniels (The Looming Tower) and Antonio Banderas (Genius: Picasso) – two well-liked actors who seemingly earned nominations off of recognition as opposed to voters actually liking the limited series. Only two of this year’s lead actress nominees are accompanied by an overall program nomination turning them into automatic frontrunners, Laura Dern (The Tale) and Michelle Dockery (Godless). Dern is the type of actor that Emmy voters love rewarding which makes it surprising that she only won her first Emmy last year. She’s likely going to ride that popularity to a second win this year especially with material as strong as The Tale. Portraying a fictionalized version of the film’s director Dern is playing a woman coming to terms with the sexual abuse she endured as a child. She’s been earning awards buzz ever since the film premiered at Sundance and now that she has the support of HBO she seems like a sure thing. The only question is whether or not enough voters watched The Tale since it only received two total nominations. Narrowing down the lead actress race to two front runners is difficult but if anyone else has the momentum to go up against Laura Dern it’s likely Michelle Dockery for Godless. She’s the only other nominee in a show nominated in a program award and we know Emmy voters like her since she was nominated three times for Downton Abbey. Her castmates are also strong contenders in their own categories and the support for Godless might just push her towards her first win. Prior to the nominations Jessica Biel was thought to be a strong possibility. The Sinner brought her the best reviews of her career and she was fresh off of a Golden Globe nomination. However after she ended up being the sole nomination for the limited series she lost the frontrunner status she once had. The lead actress category is rounded out by a group of Emmy winners that are likely to pull in votes and can’t be completely counted out. Regina King has already won two Emmys and has worthy material for a third if only audiences actually watched the Netflix anthology Seven Seconds. Edie Falco has received 14 nominations in just 20 years but Law & Order: True Crime didn’t seem to make any impact. Sarah Paulson was also brought back to the Emmys for American Horror Story but the immense love voters have for her isn’t enough to overcome the fatigue they have for the anthology series.